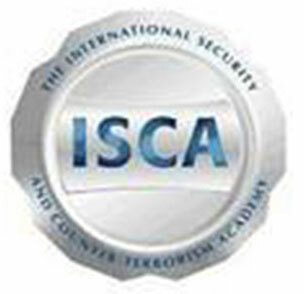 The International Security and Counter-Terrorism Academy (ISCA) is a private company that designs unique training programmes, based on heightened awareness and early detection methods for counter-terrorism, security and public safety efforts, for security professionals, public entities and private institutions. ISCA is an expert in applying the Human Factor and behaviour profiling to identify situational abnormalities, potential dangers and illicit activities, expressly straying from ethnic profiling procedures. Each of ISCA’s programmes is tailor-made, accounting for specific needs, local cultural norms in the community and legal guidelines. ISCA won the 2009 Security & Safety Amsterdam Project of the Year Award for their Schiphol Airport project. ISCA will apply its expertise in specialized training, identifying key indicators, and knowledge management as well as its knowledge of the process of radicalization and counter-radicalization programs to contribute to the development and piloting of the IMPACT Europe methodology. ISCA will lead the development of the evaluation toolkit training course and manual. ISCA will also support in delivering the training during the pilot phase, and reviewing it thereafter. ISCA will also support the development of the typology of interventions, having been responsible for similar work as part of FP7 project SAFIRE.